The Score Amazone Tilt Saddle Stool has been developed for active sitting. The ‘seated stance’ or ‘standing sit’ provides the user with a comfortable position while keeping a relaxed posture. The Score Amazone is perfect for users who require regular movement around their work setting including dentists, doctors, optometrists and other medical practitioners. 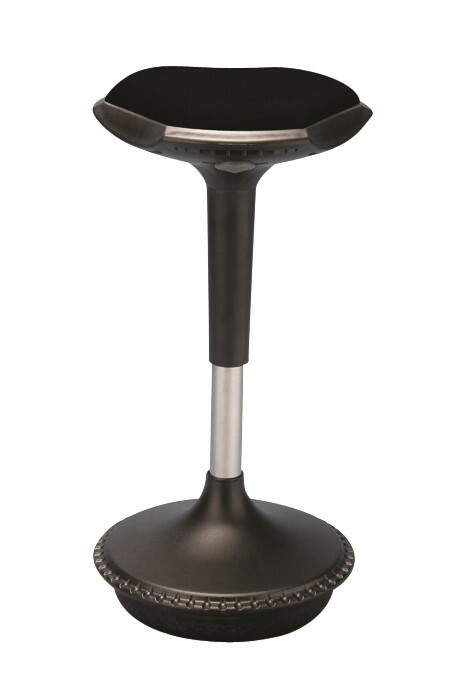 A stool that provides a natural upright position will help to prevent neck and back injuries. The Score Amazone allows your body to remain in an upright position thanks to a raised seat height and custom shape of the chair. The chair also lets you sit closer to your patients, similar to as if you were standing. 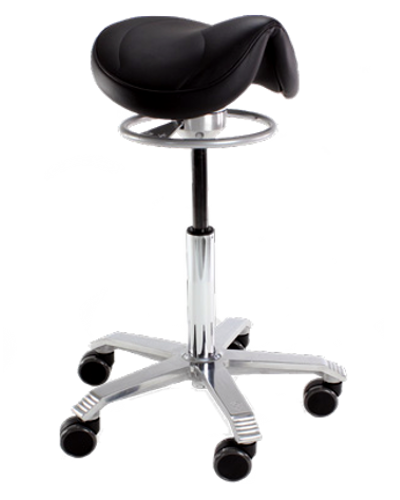 The saddle stool allows for the healthy positioning of a wide hip angle. The seat is developed to evenly distribute your weight between the seat and the floor.